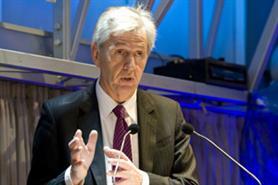 Nick de Bois MP chairman of the All Party Parliamentary Group for the Events and Exhibitions Industry has been confirmed as the headline speaker for the Sustainable Events Summit 2013, to be held at Siemens' new sustainable venue in London's Docklands - The Crystal - on 24 January. The new Sustainable Events Summit partnership, launched by Smyle and Positive Impact in September, also announced that The Canadian Tourism Commission in conjunction with Vancouver and Alberta have also now confirmed their support by joining the community as founding partners. Emma Cashmore, managing director at Axis Travel Marketing, UK Representative for Canadian Tourism Commission commented: "The Sustainable Events Summit echoes all of Canada’s beliefs and aligns nicely with the CTC’s own strategy to support a community to inspire the continuous development of a global sustainable event industry." Meanwhile, AEO, ESSA and AEV have also signed up as Summit supporters. Tickets for the event will be released at midday on 8th November and will be available from www.sustainableeventssummit.com priced at £345 plus VAT if booked before 17 December.